Yea October! Halloween prep is finally in full swing around here but while I work on that, I have to share some of the amazing projects I've been saving in the inspiration file. 1. This super clever and relatively simple taxidermy deer costume from The Merry Thought. 3. Can you believe this spooky hand is made with masking tape? Find out how at Make. 4. For an upscale party, these chocolate favors by Confetti Sunshine would make any guest happy. 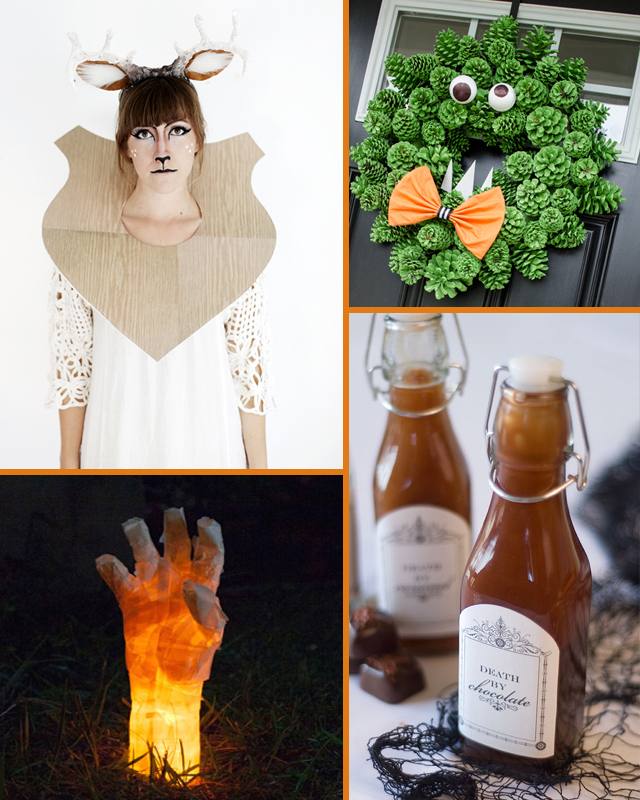 Anyone else working on something fun for All Hallows this year or want to share a fast favorite project or party? Please share! I love to feature fellow Halloween lovers. We are!! Inspired by you! We are bringing The Wicked of Oz to our office!